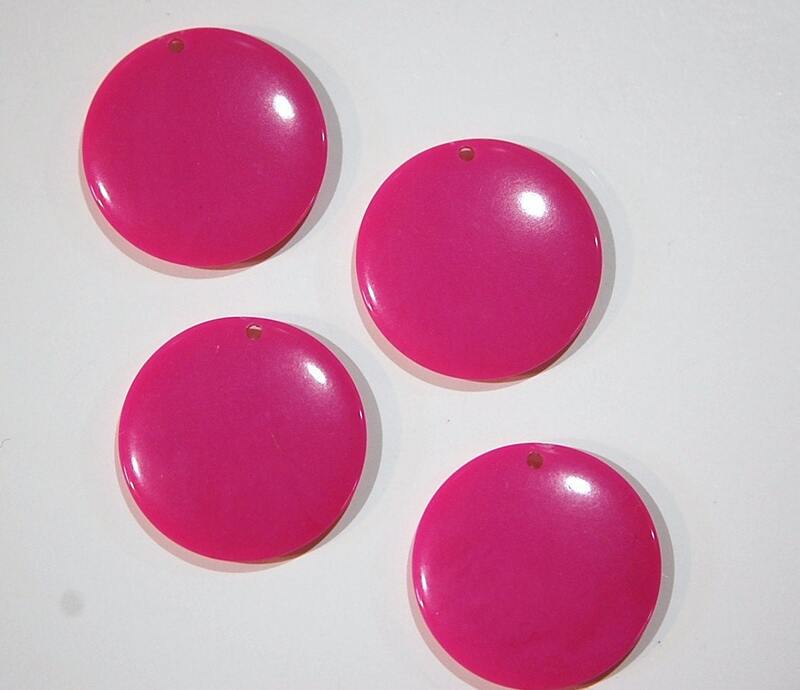 These are vintage acrylic circle charms or pendants. They are slightly domed on each side. There is a beading hole at the top. These measure 29mm round. You will receive 4 pieces.